Respire have designed a device which uses arms almost half the size of the regular herbst arm. 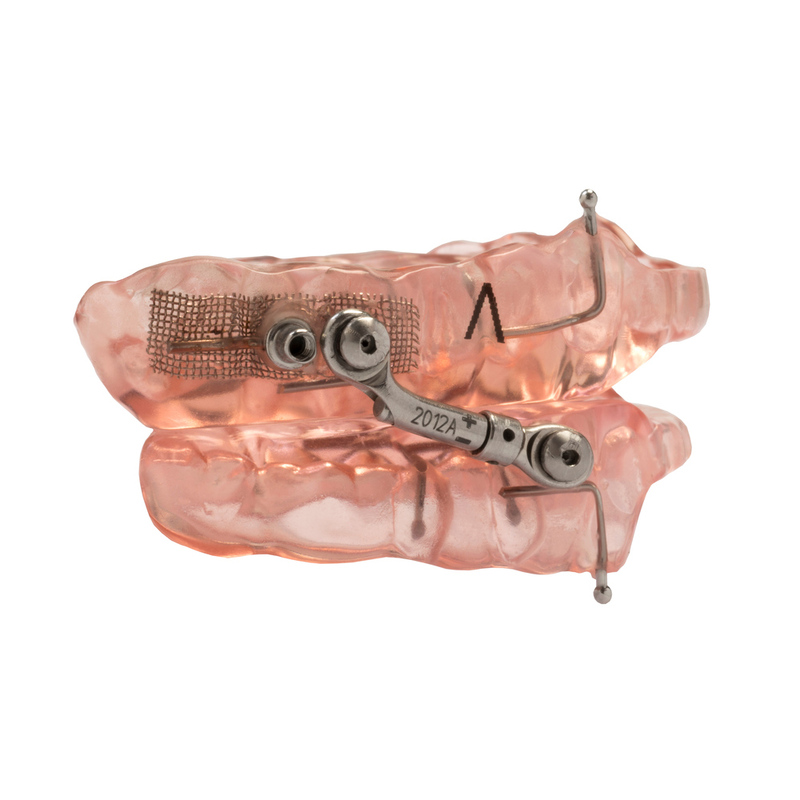 Many female patients and older patients with small mouths can't tolerate the regular herbst arms, so the Respire Pink Micro provides a solution to these patients. The advancement in the arms is an initial 3mm. Once the 3mm has been reached, the doctor has the option to advance further using the anterior fixing element. The appliance is open in the front to add comfort by increasing the tongue space allowing the patient to inhale and exhale more air per breath. 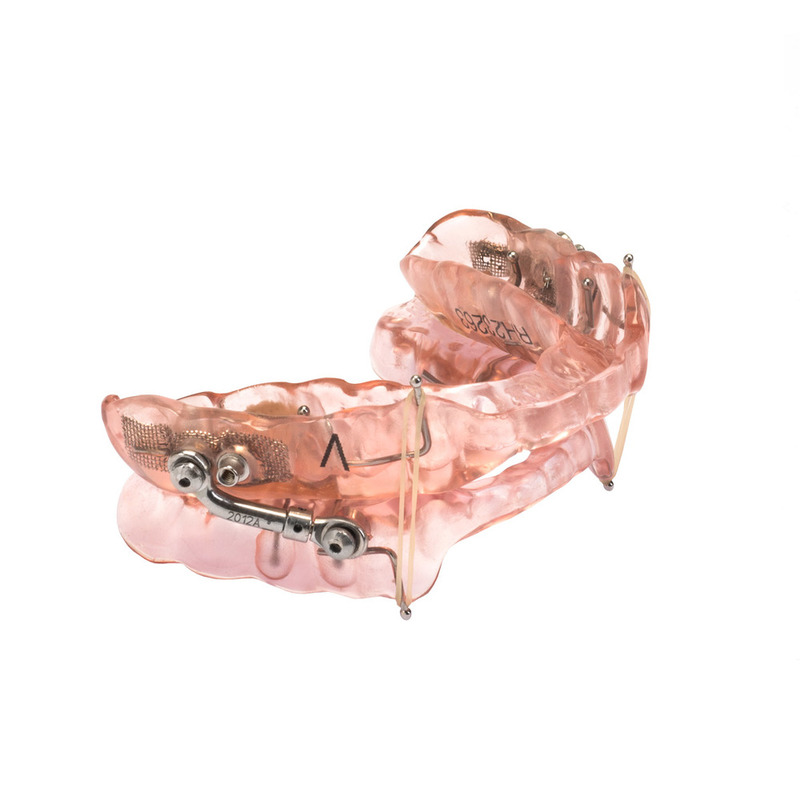 We can also make the appliance with a softer layer on the tooth surface to add more comfort. The device is also available with reduced lingual coverage to increase tongue space further. Elastic hooks can also be added to the device to help guide the jaw back to desired position during the night. This is often used in patients who sleep on their back and have a tendency to sleep with their mouth open. An anterior ramp can be added for patients with TMJ discomfort. This option eliminates contact in the posterior of the device and can also help reduce forces on the TMJ. Each device has a serial number which will also be your invoice number to help identify the device.